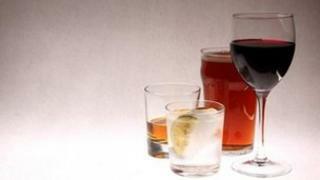 Consultation has started on plans to introduce by-laws banning the consumption of alcohol in public places in parts of the Scottish Borders. The council said it could provide an "additional tool" for the police to tackle anti-social behaviour. If introduced, the by-laws could see fines of up to £500 for drinking in public places. The regulations would not apply for the Borders common ridings, summer festivals and Hogmanay celebrations. Drinking alcohol in licensed establishments such as beer gardens and in private homes' back gardens would also not be affected by the by-laws. The areas to be covered have yet to be determined and that is one key area where Scottish Borders Council wants to hear public views. SBC's executive member for community safety, Councillor Donald Moffat, said: "We are very keen to hear what people think about the proposed by-laws. "Of course everyone will have different opinions, but a key thing to remember is that we are the only local authority in Scotland not to have by-laws in place. "Our focus is to make the Borders a safer place so the aim of the by-laws is to reduce anti-social behaviour which may occur as a result of drinking alcohol outwith the exempt environments." The consultation process runs until 29 November and will be followed by a report to the council early in 2014. Members of the public can submit their views via the council website or complete a questionnaire available at contact centres and libraries. Booze cruise across the border: Should England cash in?